Waterproof coating 1. Applicable for damp substrate. 2. With water as the dispersion medium, non-toxic, Tasteless, non-pollution of the environment, an Environmentally-friendly products; 3. Single-component, cold work, can use brush, roller , spray, scratch. Etc to coat. 4. Has a good anti-aging, extensibility, flexibility, Adhesion and film-forming. 5. Waterproof layer is a closed system, the overall Water-proof effect is good, and it is particularly Applicable to special-shaped structure. 6. 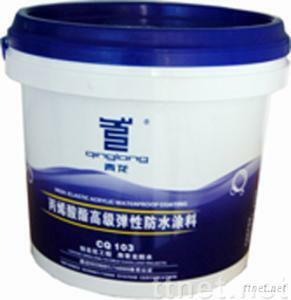 Can be used as protective layer to beautify the asphalt Rubber waterproof layer.